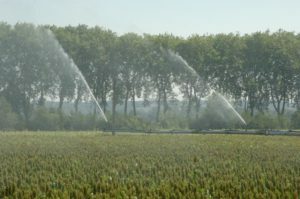 Scientists Allain et al., using a modeling platform, revealed that reducing water use does not necessarily improve downstream river flows nor decrease crop yields. Symmetrically, they showed that a new distribution of reservoirs can highly impact the water consumption and the agricultural economy without changing the water storage capacity. These are new reasons to argue that solving water imbalances is not only a matter of storing versus economizing water!